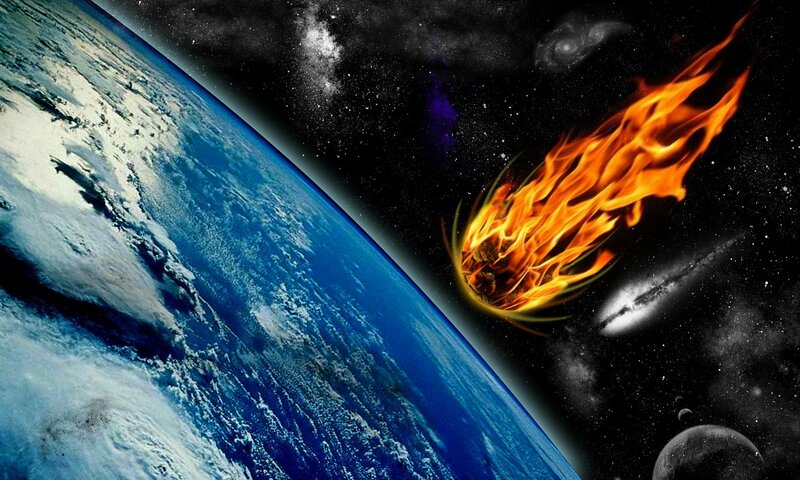 Scientists tell us that some 66 million years ago, an asteroid (or maybe a comet) changed the world forever when it struck Planet Earth near the Yucatán Peninsula of present-day Mexico. It was a bad day for dinosaurs, mosasaurs, plesiosaurs, and pterosaurs, all of which bit the dust as a result of this Earth-shattering collision. Apparently, the same fate befell more than half the species in the world. Fortunately, some plucky life forms managed to survive and flourish, which is why, at this exact moment in time, you are eyeballing this Lame Excuse for a Holiday Newsletter just before you crumple it up in disgust and throw it into the recycling bin swiftly tap the back/delete button. It’s funny how things work out. Or not. With the phenomenal rise of internet sales, the last couple of decades have been pretty much the opposite of funny for many retailers, especially the so-called “brick-and-mortar” species (of which Blumenhof is a member). The impact has been devastating. Some are already extinct. And yes, many more are expected to succumb to the same forces of natural selection that KO’d the once-thriving Famous-Barr, 905 Liquor, and Rossino’s Restaurant. They couldn’t—or wouldn’t—compete. Such is the way of the world, but is the world a better place without a Rossino’s? Hardly. It was not just the end of a business, but also of a uniquely intimate experience nobody will ever have again. EVER. It was quirky and romantic and memorable in a way that restaurants seldom are and that the merely efficient, impersonal internet can never be. It had a je ne sais quoi that can come only from the human touch—and that, too often, we fully appreciate only when it’s gone. Kristkindl Markt is a holiday marketplace and festival that will offer hot food, adult beverages, live entertainment by STEVE LESLIE (2 – 5 p.m.), and even an appearance by SANTA CLAUS/KRIS KRINGLE/SAINT NICK. As always, Blumenhof’s friendly and good-looking elves will be here to provide assistance and to pour generous servings of warm MULLED WINE (made with our Devil’s Den Red, naturally). Admission is FREE. By the way, we hold no illusions about changing the world—but we invite you to come out and have fun helping us try. per case while supplies last. Valid only for deliveries in Missouri or orders placed at the winery. Our Holiday Sale will be running through the end of the year, so you still have plenty of time to stock up on your favorite Blumenhof Wines – unless your favorite happens to be our UTOPIA 2016, 2015 Original Cyn, or 2016 Valvin Muscat. We’re almost out of all 3. In fact, we’re so low on Valvin Muscat that you’ll only be able to order it over the phone or in person (while supplies last, sorry no online orders). Mon. 12/25: MERRY CHRISTMAS! Blumenhof will be closed for the holiday. Mon. 1/1: HAPPY NEW YEAR! Blumenhof will be closed for the holiday.